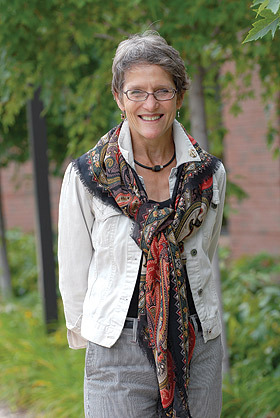 Shortly after she settled into her new home in Minneapolis, Marty Stortz did four things: she became a member of the Seward Co-op, she joined the Midtown YWCA, she took her bicycle in for “retooling” at the Hub Bike Shop, and she took herself on walking tours of the Seward, Longfellow, and Downtown East neighborhoods. Professor Stortz (she prefers to be called Marty) and other new faculty and staff members are participating in orientation this week. The community will have an opportunity to meet new employees at the Wednesday lunch and dinner gatherings. See the Inside Augsburg calendar for details. A word from the President—Why is service important?